If you're on my page, some part of you is discerning if you're part of my "Soul Group". You're checking to see if we have some kind of karmic destiny together, if for a brief moment, or possibly longer. If you feel resonance, kinship, warmth, connection....then it is likely true. If you're "pushed back", turned off, or uncomfortable....I bid you on your way with a smile and friendly wave. You'll find your "special reader" down the path. Its OK. I cannot be all things to everyone, nor do I try to be. I am a Servant of the Light, having accepted my role as a messenger directly accessing the Higher Source to convey messages of hope, help and support. Its what I have chosen to do for more than 35 years. 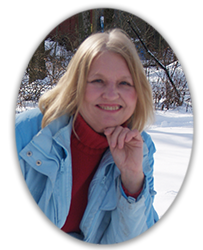 You might check into some of my writings, explore items I've created for sale, or consider a one-on-one phone or Skype session with me. You can have a psychic reading, medium-ship session, or opt for some of my other special offerings such as "Higher Self Role Playing" or "Intuitive Art Therapy." in a Lightworker Intensive class.